In charge of the respective Station. To assist (while on OJT) in carrying out maintenance of communication, navigation and surveillance equipments. To perform any other related duties as may be assigned by supervisor. Holder of a Bachelor’s degree in Engineering majoring in Telecommunication or Electronics or its equivalent professional qualifications from ICAO recognized institution that will undergo a CNS induction course and CNS equipment concept course. Must be registered as a Graduate Engineer. Ordinary Diploma in Electrical Engineering from a recognized institution or equivalent qualifications with a working experience of not less than 3 (three) years in the relevant field. To drive the Authority’s vehicles transporting staff, guests and goods. To drive Authority vehicles as assigned by supervisor and complies with state traffic laws. To ensure that the vehicle entrusted to him/her has a valid insurance cover. Certificate of Secondary School Education with passes in Kiswahili and English, Class C, C1, C2 and C3 valid driving license and Trade Test Certificate from a recognized institution. He/she must have a driving experience of at least (3) years’ experience. To assist in organizing pre-meeting arrangements when needed. To distribute mail internally to respective staff. To photocopy documents, such as circulars and other publications. To circulate files and documents internally to respective staff. To prepare and serve tea and refreshments in offices and during in house meetings. Certificate of Secondary School Education with passes in Kiswahili and English languages. The Tanzania Civil Aviation Authority is customer focused and operates in close partnership with its stakeholders. In that regard, individual applicants are expected to possess a high degree of integrity and be impartial in carrying out their tasks. In addition, the applicants must be tactful, able to relate with people, loyal, transparent, apolitical, accountable and computer literate. Successful candidates will be appointed initially on one year probation period and thereafter if successful on unspecified period contract depending on the age of the applicant. 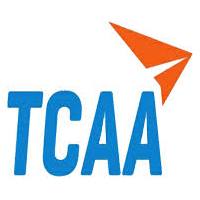 Legal Requirement: All employees of the Authority are required to observe the TCAA Code of Conduct. Other terms and conditions of service are as promulgated in the TCAA Staff Rules. Shortlisted candidates will be required to meet their own costs for travel, accommodation and other matters in relation to the interview. Deadline for submission is two weeks after the first insertion.